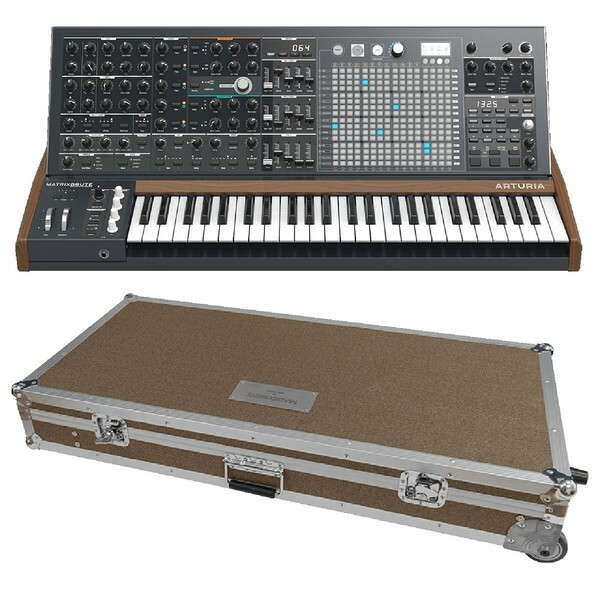 The Arturia MatrixBrute is an outstanding, inspiring and original analog synthesizer with three Brute oscillators, a Steiner-Parker filter and a ladder filter, three extra-fast envelopes, analog effects and an incredible modulation matrix. This sonic beast promises to get you excited about making music again with fresh new sounds plus intuitive, fluid controls. The MatrixBrute builds on the success of Arturia's popular MiniBrute and MicroBrute, the hands-on architecture gives you instant, visual and tactile control over powerful analog sound and modulation plus 256 capacity preset storage to save your creations. MatrixBrute makes the most of each module through a matrix that offers thousands of potential modulation routings. You can invent a sound palette of your own and make your mark on any song. The matrix can also recall presets. It features 256 memory locations including 128 groundbreaking factory presets, allowing you to create your own patches or use the varied palette of factory sounds. MatrixBrute packs the power of a modular synthesizer with the indispensable ability to save each patch. The Matrix is also used to create and play sequences so you can jam directly on your analog synthesizer. Sounds can evolve in melody and texture, exactly the way you want. 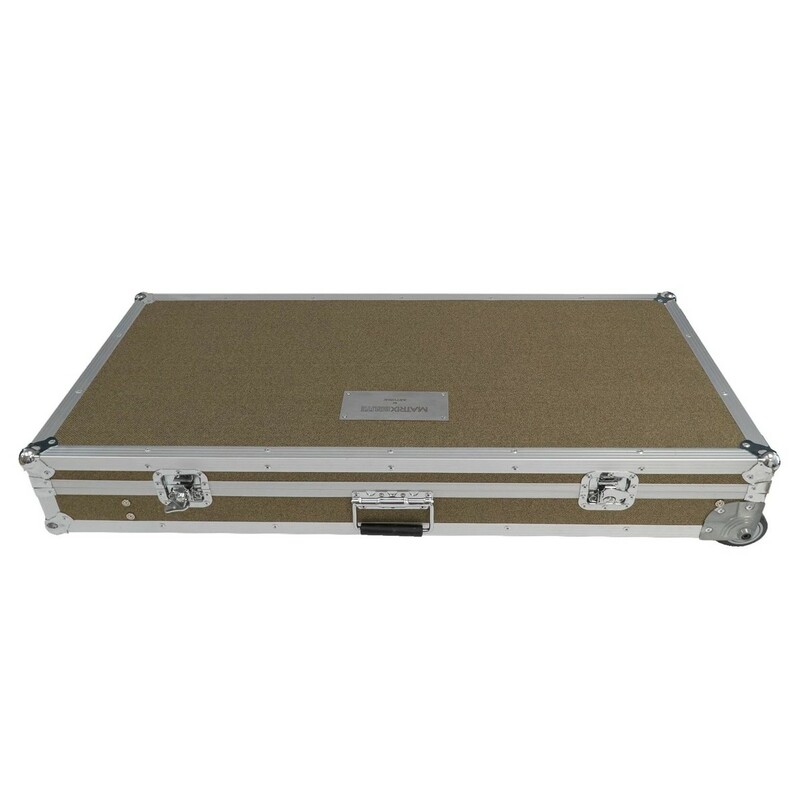 The high-grade analog effects maintain a 100 percent analog signal path. The effects range from chorus and delays to reverbs and more, plus it also has a great arpeggiator. MatrixBrute is easy to understand, a phenomenal source of inspiration and a truly empowering instrument. It offers tons of connections so you can work in any setup. 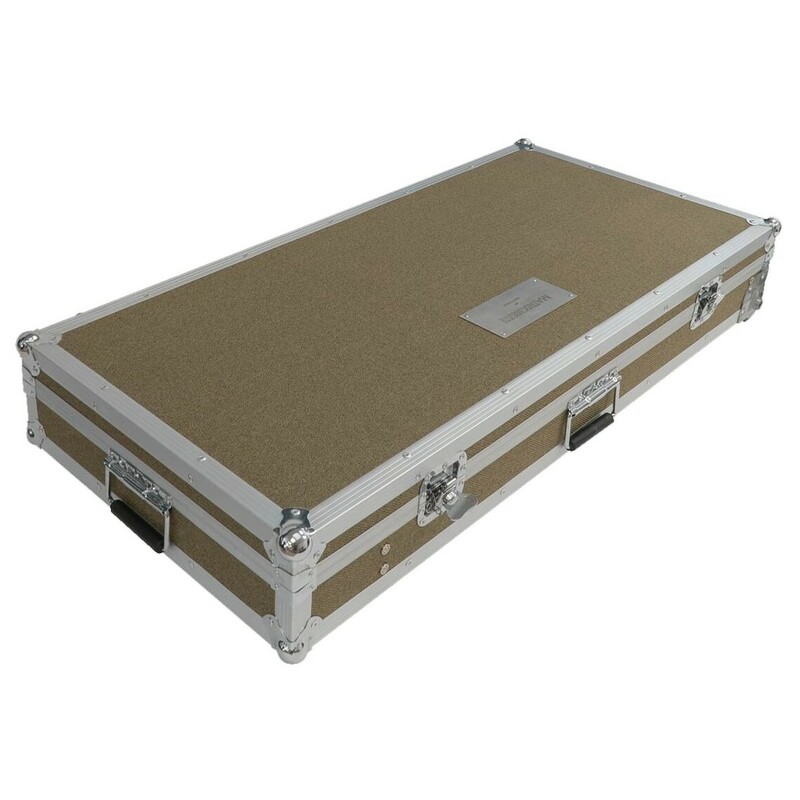 It sports a quality keybed and a solid chassis so you can take it with you anywhere. The analog effects can also be extensively modulated and forms an integral part of the sound engine, combined with audio inputs and	Envelope Follower, turns MatrixBrute into a wild external audio processor as well as an extraordinary analog synthesizer. 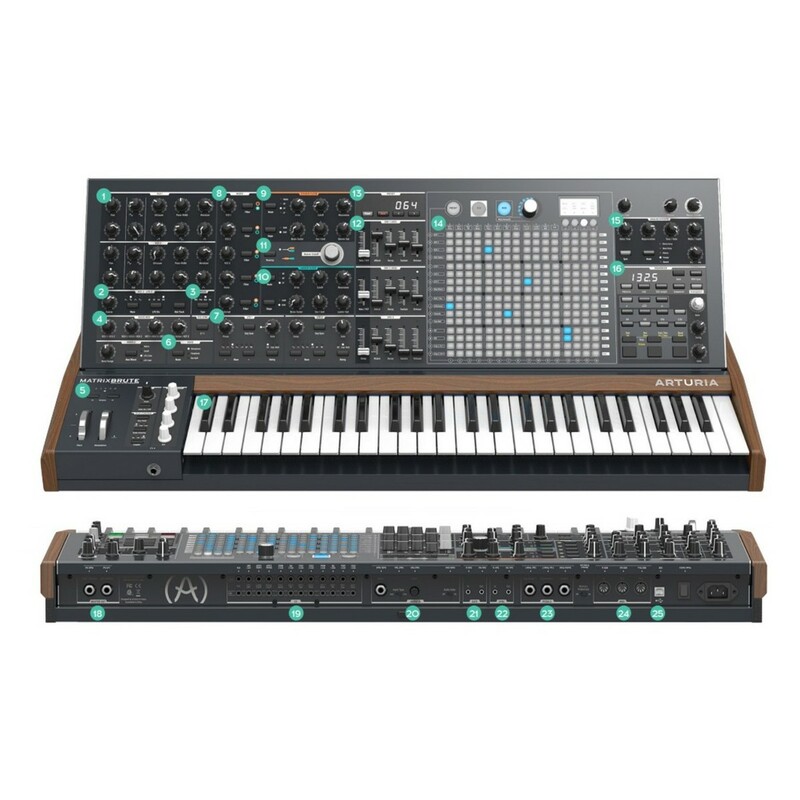 MatrixBrute is analog at heart, therefore beyond standard MIDI, USB and studio audio connectivity, it features no less than 24 CV connections on the rear panel allowing extensive interfacing with compatible analog synthesizers and modular systems. Its matrix panel also doubles as a visual control interface for the interactive 64-step sequencer provided onboard, and panel controls both send and receive MIDI information for computer automation possibilities.